Fat To Slim Shikha A Sharma is all about ‘Eat, Sleep, No Exercise, Loose. 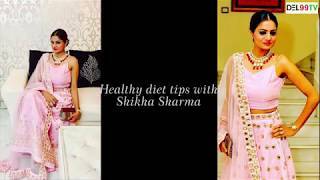 Shikha A Sharma is a Celebrity Dietitian and Nutritionist , She specializes in Indian based diet, Her diet is more about Indian food and not at all about Brown Bread, Brown Rice or those fancy Salads. She is Running her Venture in the Name of “Fat to Slim”. In a short period, she has 600+ clients across India & abroad and that she has achieved only by the word of mouth from her existing clients. She uses different kitchen spices & herbs as fat burner and to fix different health issues as well. She makes her clients go Fat To Slim and loose up to 7 KGs weight and 4 inches from each part of their body within a month and that all by making them eat. In fact she gives so much to eat that sometimes her clients ask her to skip meals from the diet program. Hi Shikha,Thank you for being my nutrition consultant and helping me cope up my weight issues due to PCOD. I have reduced 2 kg in 15 days and best part is I can eat everything, no fancy at all. It is very difficult for me to follow any diet because of my busy schedule but you are the one who’s diet is so flexible that I didn’t even realized that I am on a certain diet.Thank you so much for all the guidance and pushing me towards balanced eating. I would highly recommend Shikha A Sharma our own Dietitian and Nutritionist. I am a post graduate Doctor from Lady Hardinge Medical College, presently working in CGHS. For some time I was not exercising at all due to health issues and was gaining weight slowly, when I was introduced to Shikha Ji through my Husband, a pediatrician, looking after SHikha ji’s daughter Amayra. I took her Diet and followed her advice for almost 10 months and lost around 16-17 kgClient’s . With her diet, at no time I felt I was hungry and in fact I could not eat as much as was recommended by her. I followed her advise religiously and I am happy with the result , it is now almost 8 months since I left her diet, as I did not want to lose more and I am maintaining the weight with about 1-2 kgs up and down. All the credit goes to her, very sincere and devoted. I wish her all the best in life. Hi I am working as a Teacher with loads of speeches and lots of tasks preferably done on toes which made me exhausted every day, moreover it was leading making me bulky too. Thanks to God when I met Shikha A Sharma and was introduced to her “Fat To Slim” Project. I was rejoiced knowing eating and sleeping process with the help of different flavors of kitchen spices within reach. HI all I work hard all day with high spirits being energetic relying on the home spices and half meals, without any multi- vitamin . I am sharing my progress of a month , the journey is yet on with Shikha’s Fat To Slim . Long way to go , God Bless Shikha the magical glamorous Stunning and not the least tedious gal. Keep Shining. From 77 to 73 within just 3 weeks , not even completed a month. Feeling lighter than before this is magic of your diet. Thanks for making me From XXL to XL or Large. Still waiting to start my diet again, Thanks a lot to you mam and your team. I started my Journey of Fat to Slim in 2017. First I thought what kind of diet I will get. This amazing person Shikha mam gave me happiness in life. In my diet I got tasty things like vegetable Maggie, Homemade pizza, homemade burger, Tasty shakes etc. Shikha maan is like a god mother to me. Love you Shikha mam. I encountered a problem of irregular periods now it has gone with Shikha maam’s diet. The best is she doesn’t make a person starve. Thank you Shikha maam for understanding my nutritional Psychology. May god bless you with happiness Shikha maam. I love you like a love song baby. Shikha came to my life as an Angel for me. With her miracle diet I have controlled my Rheumatoid arthritis. I still remember the days when I was miserable with horrific arthritis pain which was affecting my family life. My Condition was so bad that I couldn’t get out of my bed on my own, unable to lift my one and a half year boy even couldn’t do my daily routine things. I had anti-inflammatory steroids, tried Hydroxychloroquine, Methotrexate, Sulfasalazine and Lefludomide nothing worked on me. After Following Shikha’s diet my life is back to normal and guess my wish got fulfilled. 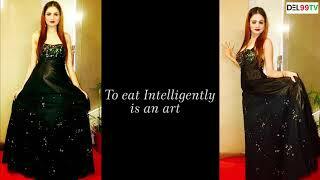 At this stage I have given up all my medications and all this is possible because of Shikha A Sharma’s diet. She has worked really hard on my diet, my family doctor was shocked to know when I told him that I no longer take my medication and I feel absolutely fine. I am really thankful to Shikha for helping me achieve my goal and I wish her all the Best. It’s been two months that I am following your diet and it has made major changes in me. First of all a big thanks to you for resolving my acne problem, I tried so many things, shown to skin specialists, taken homeopathic but had no effects. But with your diet I have not only managed to lose weight but I also got rid of my acne problem. Besides that I used to suffer a lot from hyperacidity and used to take one tablet daily empty stomach and after that also I had no affect but your diet has shown magical effects on my body. NO ACIDITY AT ALL AND NO MEDICINES. Now I am relaxed because you have held my hand and I am sure under your guidance I will surely be able to reach my destination very soon. You are a combo of health and beauty. Thanks to the Magical Women. I just want to thank you for guiding me to a healthier life. Though I left you since 2 months I just want to tell you that I haven’t gained back. I am still in my shape and that is the best part of your diet which I really love. I am eating healthy and as i am following your diet I don’t feel that much hungry as well. I eat junk food sometimes too but even after that I am still in shape because if your diet. Love you Babes and keep up the good work. Sky is the limit for you. "Eat Sleep No Exercise Loose"
Band Baaja Bride is one of the most popular shows on NDTV Good Times, A dream for every bride to be to get featured on and experience a dream wedding…. A Dietitian and Nutritionist,specializes in Indian based diet. She is running her venture by the name of Fat To Slim. In a short period, she has 600+ clients across India & abroad and that she has achieved only by the word of mouth from her existing clients. Her diet is completely different from all the dietitians.